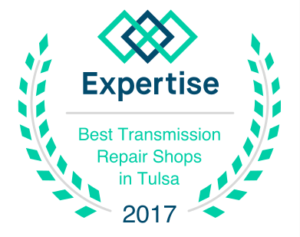 Lifetime Transmissions is proud of our outstanding reputation in Broken Arrow, OK and its surrounding communities in Tulsa County. People call us looking for the leading team in transmission repair, the ones that guarantee quality work with a lifetime warranty! We provide dependable transmission services for Chevrolet, Ford, Honda, Acura and Dodge, and more. When our founder, Wayne Scherado, started his career in the automotive industry in 1983, he devoted himself to becoming the best in the business. Superior Automotive and Transmissions served the local community for all of their auto repair needs. But Wayne quickly realized a problem with the quality of transmissions he ordered for the shop. Frustrated, he narrowed his focus to provide better transmission builds with longer warranties. Lessons from his successful transmission parts store gave him the insight necessary to edge out all other transmission specialists. None of them could compete with the quality and guarantee of Lifetime Transmissions. Today, our specialty shop is still family-owned and operated right here in Broken Arrow, OK, but our warranties extend nationwide. If there’s one thing we’ve learned from decades of experience in the automotive industry, it’s how family always comes first. At the end of the day, family is what we all want to get home to and we rely on our vehicles to get us there safely. Lifetime Transmissions understands this better than anyone. Today, we operate with the same values that our family prioritizes: honesty, integrity and pride. We are proud of our work and commitment to quality. We always do what’s best by our customers, which includes providing expert advice founded on decades of experience and education. Not all transmission shops are created equal. Ours happens to be a leader of the industry, propelling the standards of transmission repair forward. We send our customers away with units that will be the last one their vehicle will need, but that doesn’t mean our customer relationships are just short-term. To us, our customers are family. Lifetime Transmissions is the sensible choice for customers that need quality repairs done fast and for those that want to search out their best option based on their specific needs. We work will all visitors, walking them through our processes step-by-step to ensure their complete confidence.